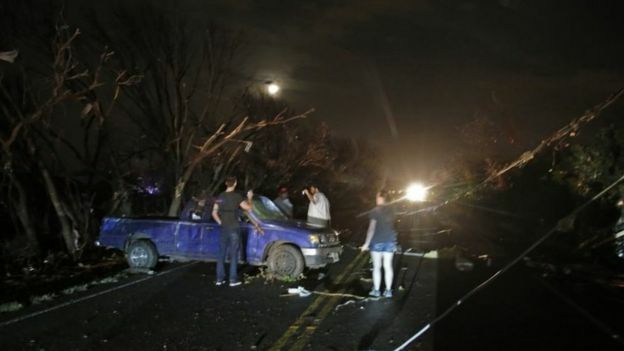 Eight people are reported to have been killed in Texas in new tornadoes, raising the death toll to 26 in a week of storms in several US states. Five people died when their cars were reportedly blown off a motorway in Garland, near Dallas. Another three bodies were found in nearby towns. Officials also say Texas and Oklahoma could suffer a “historic blizzard”, bringing up to 16in (41cm) of snow. The storms across the South have been unusually powerful for winter. Reports from Texas said churches were destroyed, cars mangled and trees toppled across a wide area. 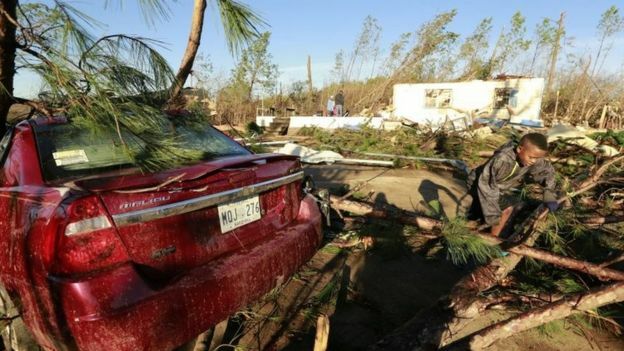 Garland police believed that “winds from a tornado that passed through” the town late on Saturday were the cause of car accidents, Melinda Urbina from the Dallas County Sheriff’s office told the BBC. At least five people were reported dead in the cars. Ms Urbina said the winds “tossed the cars around”, and the vehicles were later found below Interstate 30, about 15 miles (24km) north-east of Dallas. She also urged local residents to stay off the roads. Police officers in Garland are now trying to determine whether they were any other casualties at the crash site. “We’re dealing with darkness out here,” police spokesman Mike Hatfield was quoted as saying by the Dallas News website. “All of the street lights and highway lights are out,” he added. Two people were found dead at a petrol station in Copeville, and a third was killed in Blue Ridge, reports in local media said. The storms have damaged a number of buildings in the area. Kevin Taylor, a church pastor in Glenn Heights, south of Dallas, described to WFAA how his church began collapsing around him. At least 30,000 people were reportedly without power, and there were reports of burst gas lines. 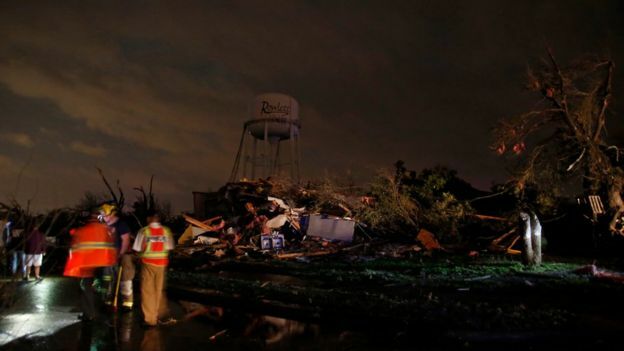 The National Weather Service confirmed that several tornadoes had touched down near Dallas and other towns in northern Texas. 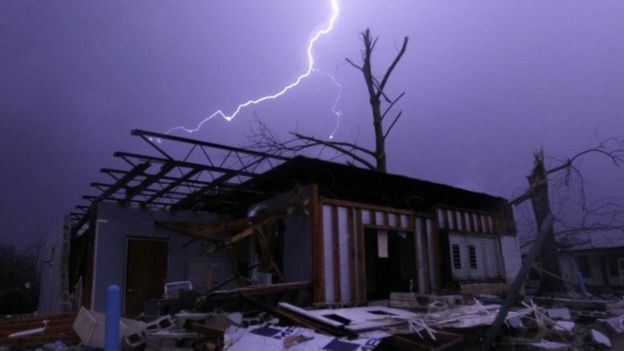 The deaths in Dallas come as much of the south-central region of the US has been hit by severe weather in the past week. While extreme weather in the US before Christmas is not unknown, meteorologists say that unseasonably high temperatures in some areas contributed to the severity of the storms. One year ago a tornado hit south-eastern Mississippi, killing five people and injuring dozens more. A storm on Christmas Day in 2012 which included several tornadoes damaged homes from Texas to Alabama.